roasting | Let There Be Food! I love chips and salsa above all other foods out there, nearly. If we are in a fight and you want to send me a reconciliation gift, chips and salsa will be a guaranteed winner. If I am sick, chips and salsa will make me feel better. If I’m grouchy, I would like chips and salsa to the rescue, please! I will almost always pick the restaurant with free chips and salsa over the one without, or heaven forbid, the restaurant that charges for them. Those places are evil and might should be boycotted, in my opinion. Ahem. So salsa pretty much rocks my socks. If you pop over to the Food Memories page, you’ll see that I grew up with salsa and came by my affection for it honestly. My dad makes homemade salsa, and one day, I decided I was going to make my own homemade salsa, too. Oh boy! It was the start of a beautiful thing. At first, it was a more chopped up version of pico de gallo, made in tiny batches in my wee food processor attachment on my blender stand. Since then, I’ve graduated to an adult food processor and have been experimenting all over the place. I’ve learned that I love to roast my salsa ingredients. I have learned that kiwi salsa is delicious. I’ve learned that homemade salsa is for sharing as I cannot eat (or at least, should not eat) the whole batch. I suppose you could cut the recipe in half to make a smaller batch, but why deprive a friend of your culinary delights?? Have your friends over for game night, and let them marvel when you serve them homemade salsa. I won’t judge if you don’t put it all out so you can have some the next day; that’s only good sense. There are many more salsa recipes to come, but this is the most recent edition to come from my kitchen. Don’t be frightened by the surprise herb – it actually provides quite a pleasant taste. 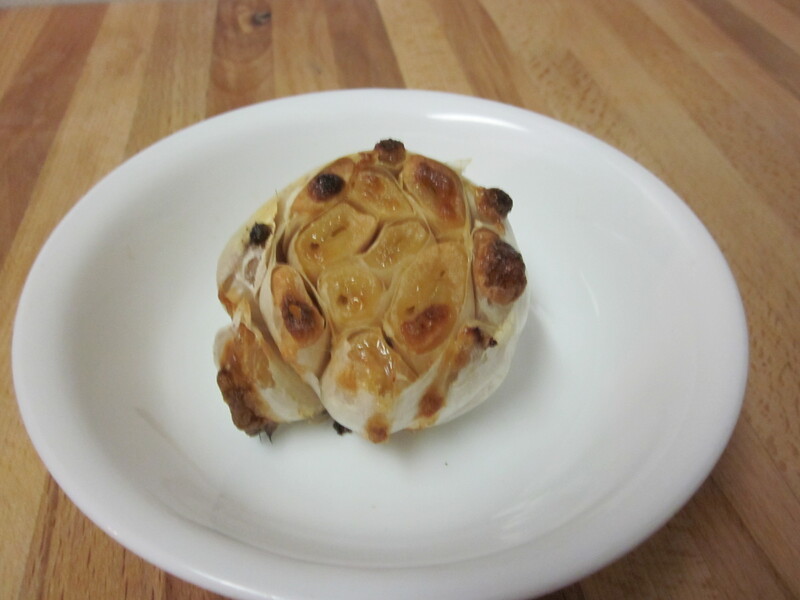 Thanks, Rick Bayless, for the inspiration! 1. Set your oven rack near the top of your oven, and turn on the broiler. 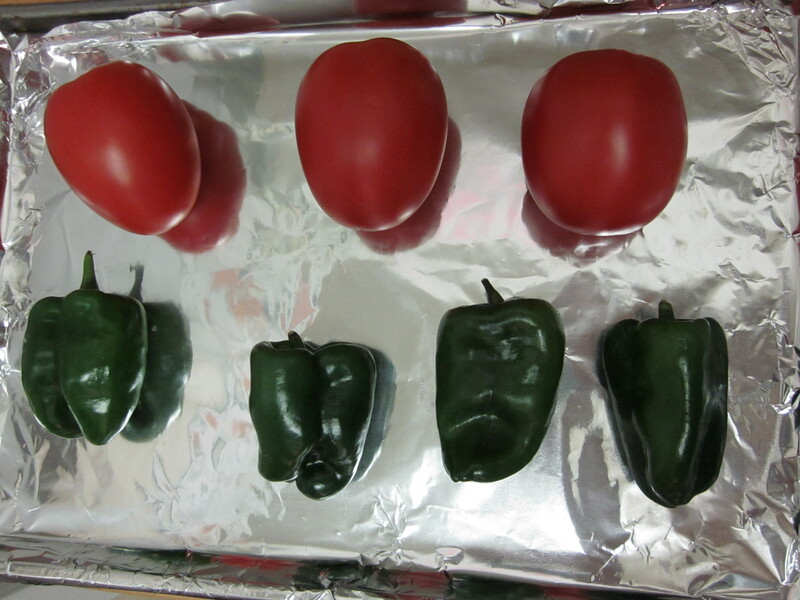 Line a rimmed baking sheet with foil, and lay out the tomatoes and peppers. 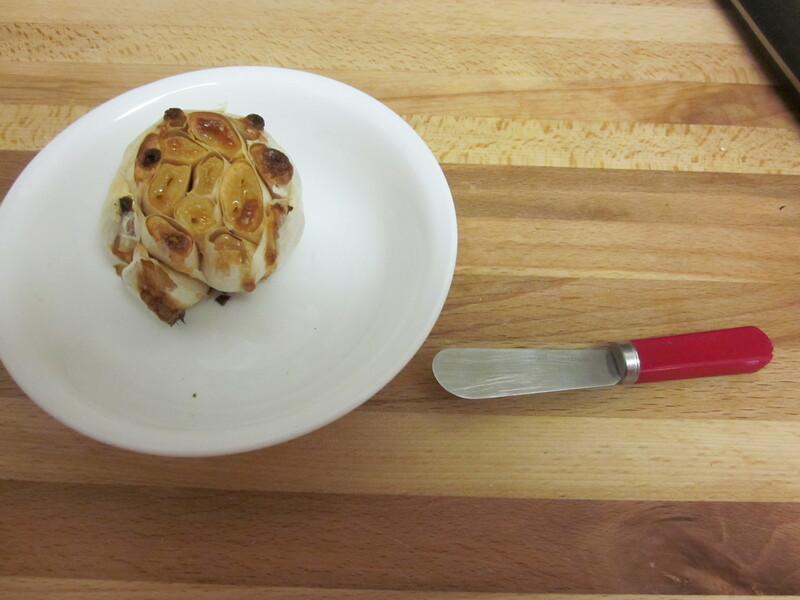 Broil (maybe 5 – 8 minutes) until the skin is charred and blistered. Flip everything over to roast the other side. Continue this process until all sides are well blackened. Don’t be afraid of the char. You are likely to hear the skin sizzle and pop; don’t be afraid of that either. 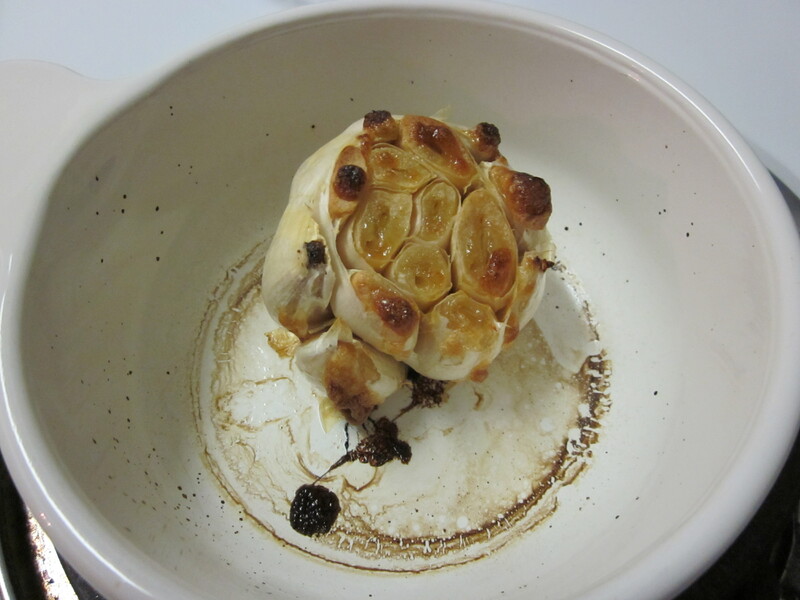 When everything is charred, pull the pan out of the oven and let cool. 2. Put the peppers in a plastic bag, and wrap with a towel. They won’t melt the bag, and it will help the skins come off later. Leave the tomatoes on the pan to cool. 3. 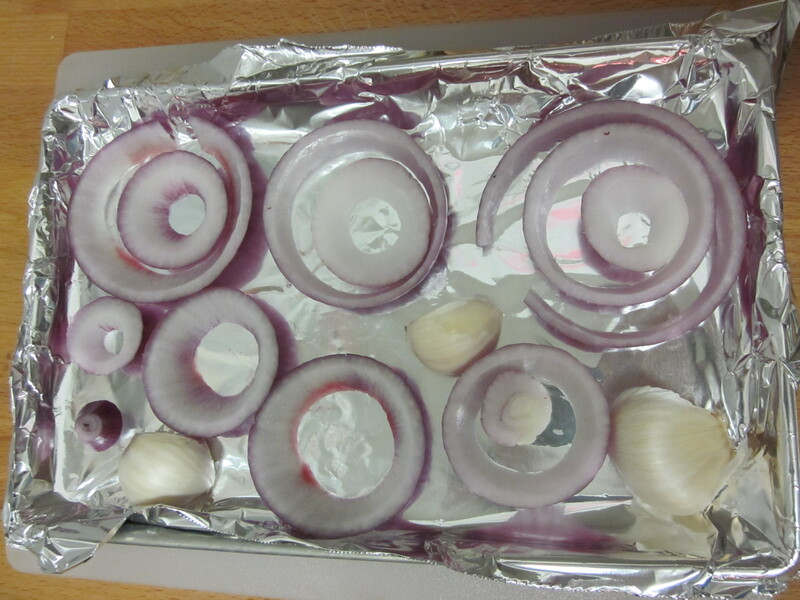 While the tomatoes and peppers are in the oven, slice the onion into slices. Err on the side of thicker rather than thinner. Aim for a quarter to half inch slice. As much as possible, keep them uniform so they’ll cook evenly. That’s probably more important than width of the slice. 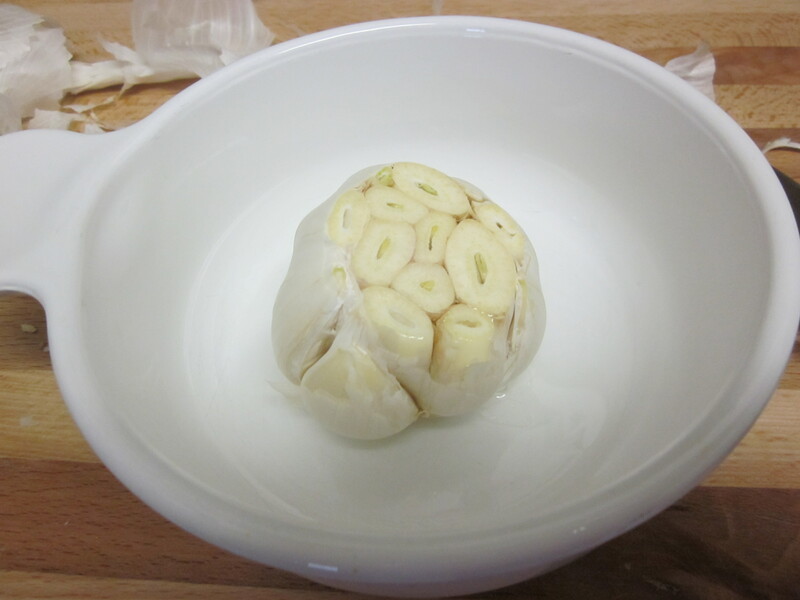 Peel the garlic, leaving the last layer of papery covering (this will keep it from burning). 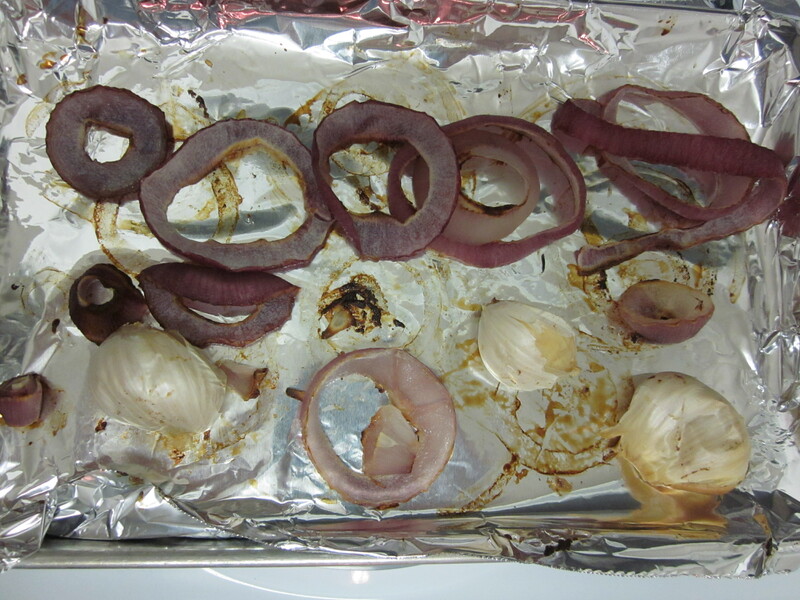 On another foil-lined, rimmed baking sheet, lay out the onion and garlic. 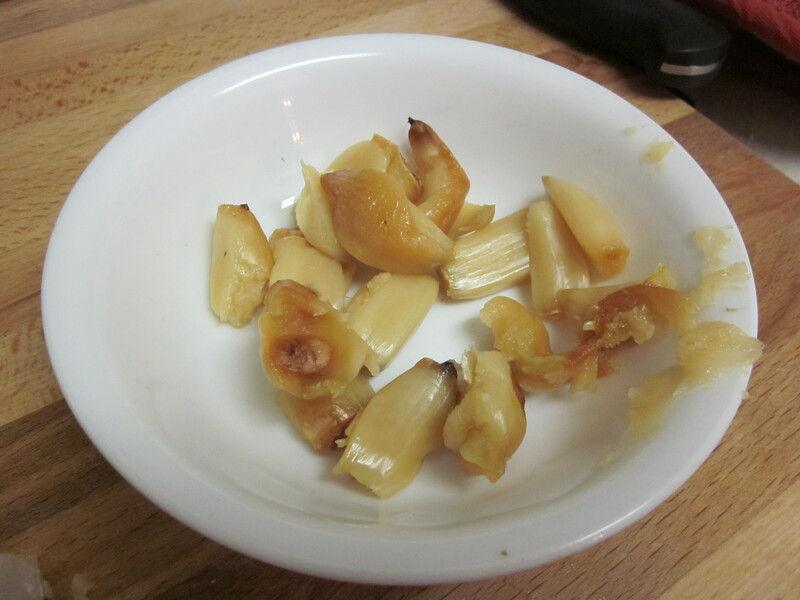 Roast them until the onions are soft, there is some char on the edges, and the garlic is soft when pressed. Stir a few times while they are roasting. This may take 15 minutes or so. Let cool on the pan when you take them out. 4. 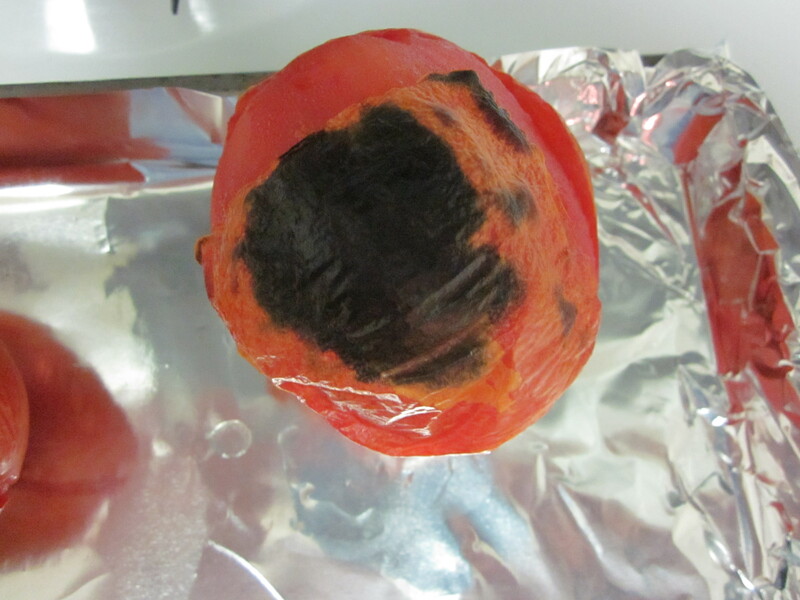 Using tongs, a knife, and/or your hands, peel the skins off the tomatoes, and pull the flesh off the core. I have yet to roast them long enough for the core to get soft – so get rid of the hard feeling middle. 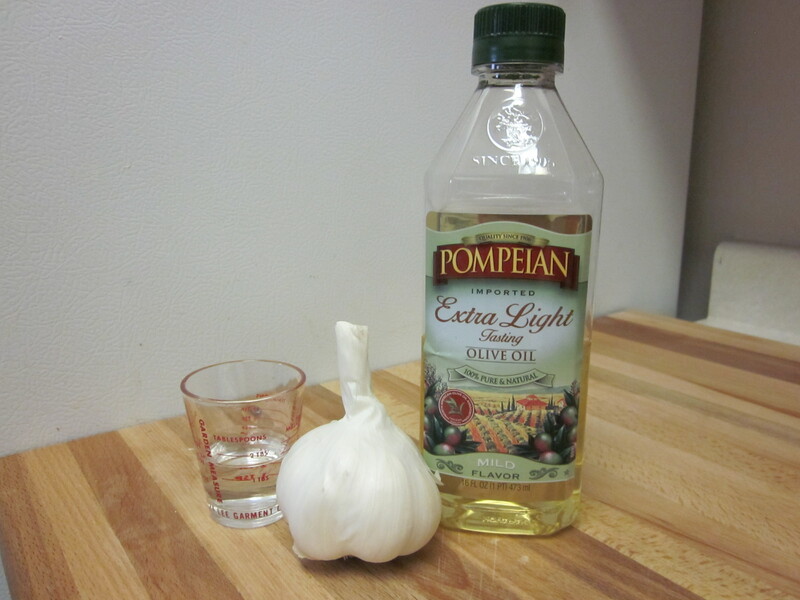 Do all of this on the pan so you don’t lose any juices. Leave the flesh on the pan to cool a bit before you go back to them in step 9. Discard the skin and core. 5. 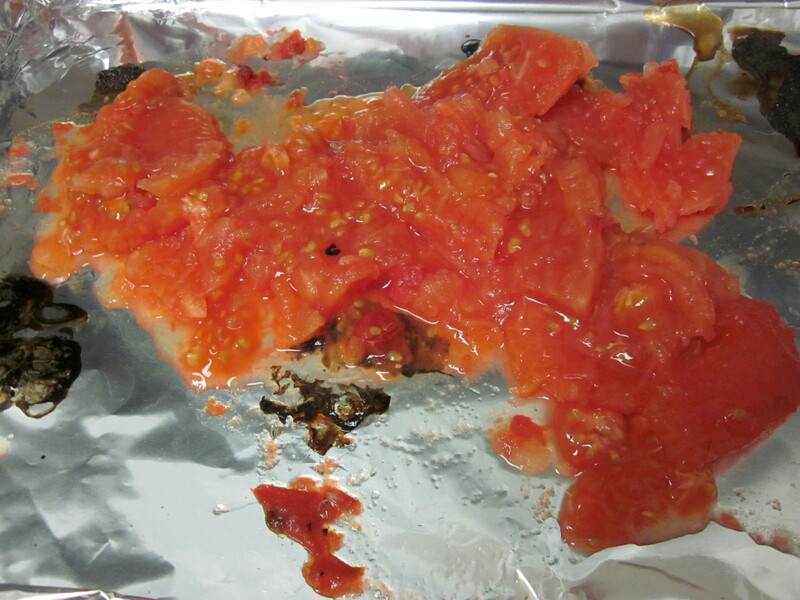 Using the same tools, over the same sheet of tomato pulp, if possible, pull off and discard the skins from the peppers. The blacker the skin is, the easier it will just peel right off. Tear open the peppers and scrape out the seeds, if you want a milder salsa. More seeds = more heat. Your call. Please don’t rinse them – you’ll lose flavor. They will likely drip juice into the tomatoes, which is okay. That’s why you are peeling them over the tomatoes in the first place. 6. Chop the peppers into small, bite sized pieces. They won’t get any smaller later in the prep, so dice away. Scrape the pieces and the juice from the cutting board into a clean serving bowl. 7. Chop your thyme and cilantro, and toss into the serving bowl. 8. 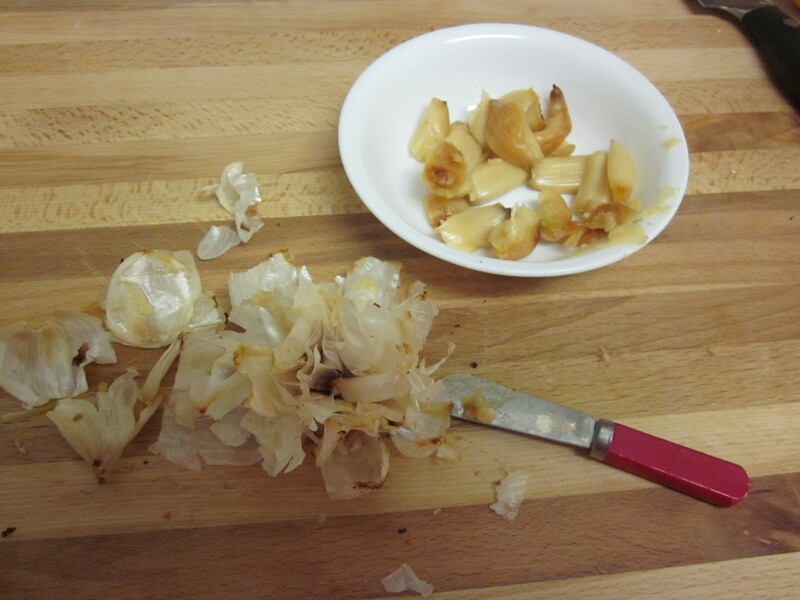 Pulse your roasted onion and peeled garlic cloves in a small food processor to finely chop them. Add some of the tomato if the mixture needs some liquid to help facilitate the job. Scrape into your bowl with the peppers. 9. In the same food processor bowl, put the cooled tomatoes and their juices and whir away. Dump into the serving bowl where the peppers and herbs are waiting. 10. Stir in the tomato puree, and slowly add the water to get to the consistency you want. Go slowly with the water because you can’t take it back out. Season to taste with some salt, but go easy as your chips will likely also be salty. *Notes about ingredients: I had ginormous Roma tomatoes so it only took 3 to make a pound. It would probably take 5 – 7 regular-sized Roma tomatoes for a pound. 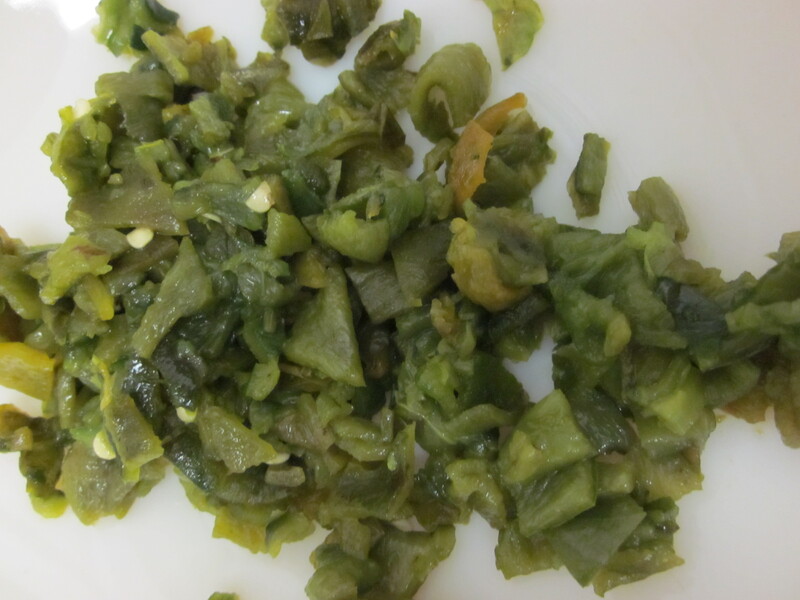 I was also using poblano peppers that my dad brought me which were WAY smaller than store-bought poblanos. My four were 6 ounces which is why I suspect 2 regular-sized ones would be sufficient. I don’t usually measure my herbs – I just chopped what looked good to me. I like lots of cilantro, so it’s possible I had more than 2 tbsp. I recommend not going overboard with the thyme until you are certain you’ll like it. I will probably add a bit more next time. Also, if you don’t have enough poblanos, I think Anaheims would be a good addition which will also decrease the spiciness. I’m nervous about giving you a recipe with 10 steps. Please don’t be intimidated as many of the steps are simple. Plus I’m overly detail-oriented sometimes. 🙂 Many of the steps can be accomplished while items are either roasting or cooling. I promise you that it’s totally worth 10 steps! 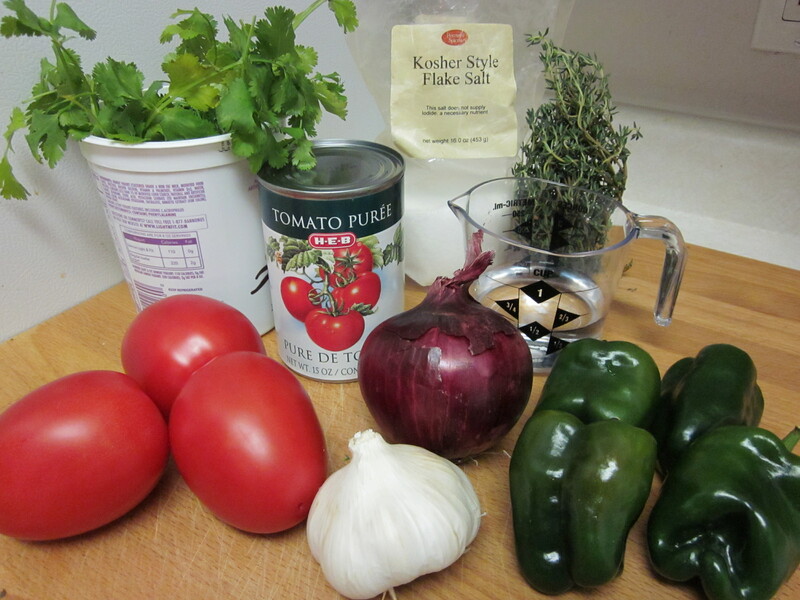 This salsa will be a little saucier because of the water and puree. 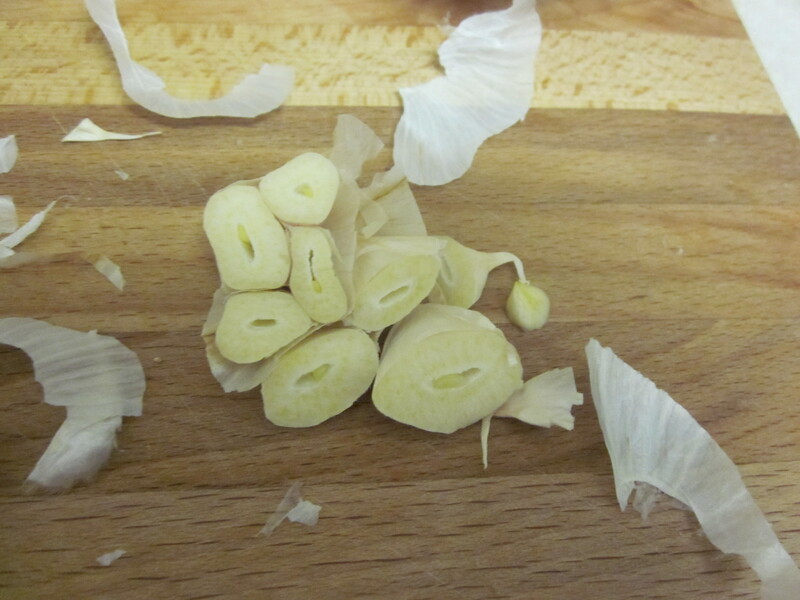 Once, I thickened mine up using my immersion blender to chop it all up into smaller pieces. It’s delicious either way. Rick Bayless encourages you to use it in place of tomato sauce with fish or pork or even mac and cheese. I watch a lot of “Good Eats” on Food Network, and Alton Brown frequently uses latex gloves (medical style) when dealing with peppers. At first I laughed at him, just a little, and thought it was sort of wimpy. But then…one unfortunate day, I got pepper juice in my eye. It came from my finger which had been washed, at least twice. There are hardly words to describe how terrible the experience was. I promptly went to buy rubber gloves, and now I’m a convert. It makes it easier to use your hands to seed the peppers, and then the gloves come right off into the trash without threat to your sensitive parts. I encourage you to try it, also. Safety first, people. 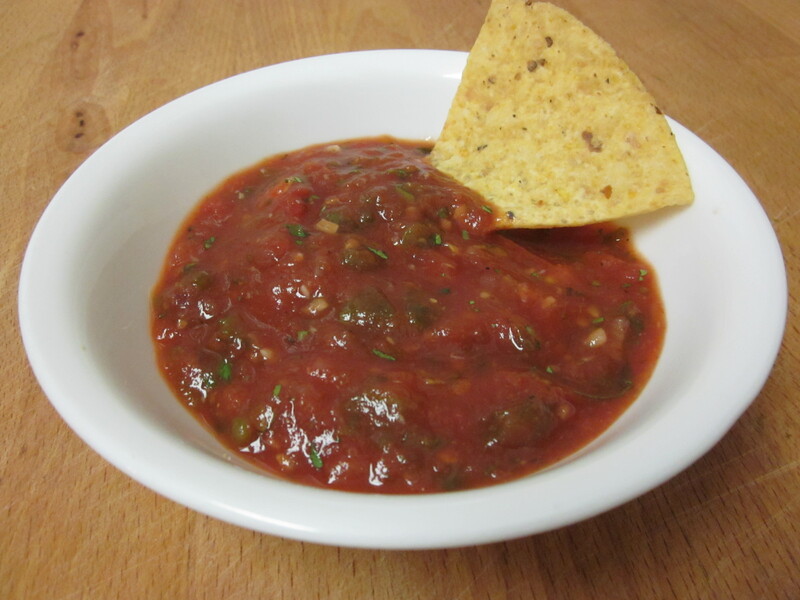 What is your favorite kind of salsa? 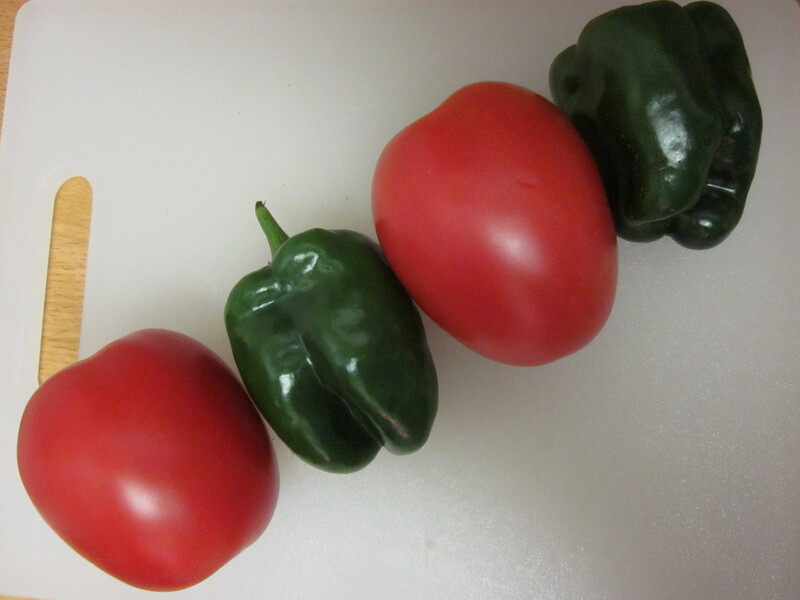 Keep your eyes peeled for more salsas coming soon to a food blog near you. Happy eating!